No one’s asked the question: are you attempting to install an in-tank pump without removing the tank from the car? Also, are you willing to modify the tank? Bosswrench’s conversion is entirely do-able with the tank in place. I’m sure Scott had his tank “out” when he did his. Removing the tank creates more options. 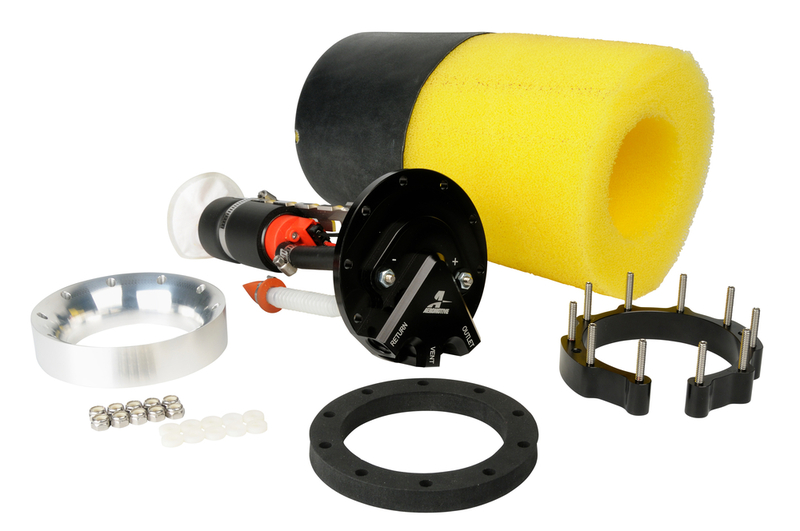 Companies like Aeromotive make drop-in units that hang the pump and have return and vent fittings built-in but they require cutting a hole in the top of the tank. You could then use a fuel level sending unit like a Centroid, where the stock pick-up used to be, eliminating the float.